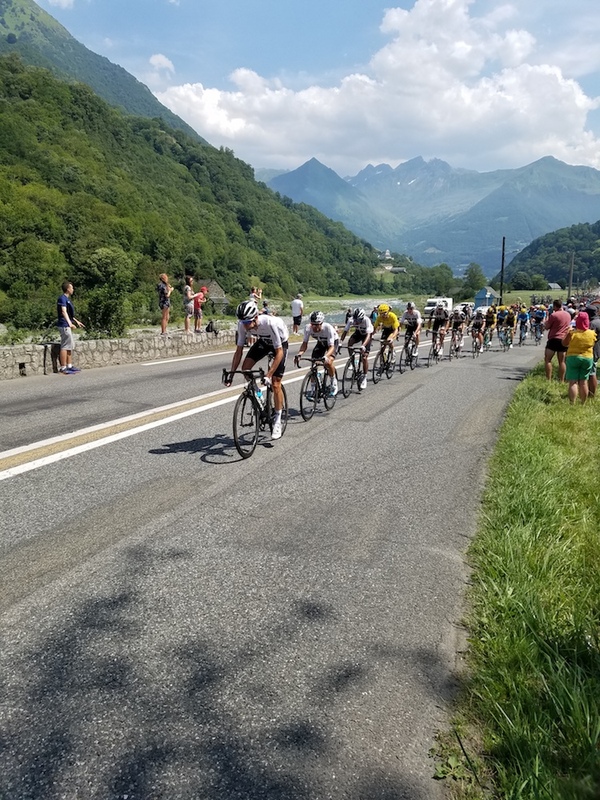 Friday we watched the tour de France go by the base of the road to our gite, as they descended down the valley road below the Col du Tourmalet. 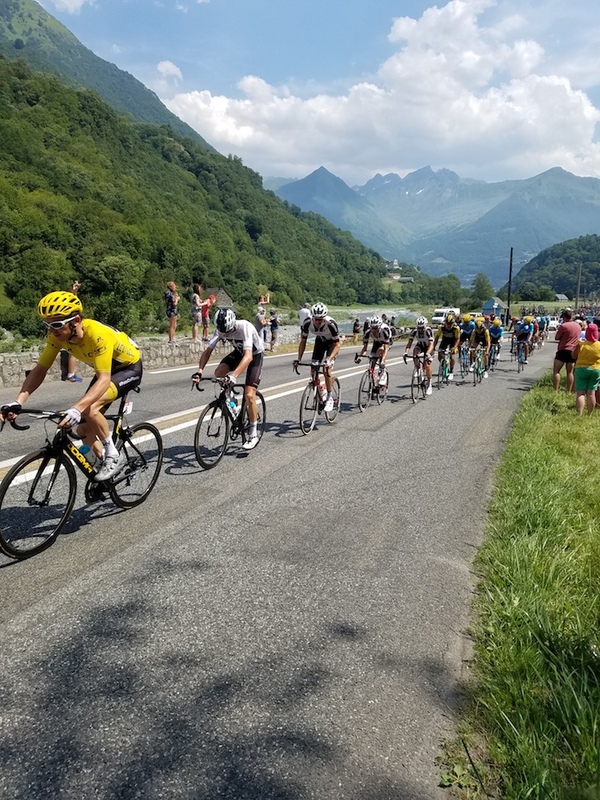 If you've never experienced the Tour de France it is quite the spectacle, what I describe as a moving Super Bowl halftime show. The roads close several hours before the riders come through, with the sponsors caravan coming through first throwing SWAG to the fans lining the road. About an hour later the riders come through - at an incredibly fast pace. Having ridden the same roads it is even more impressive how quickly they ride (the Tour typically averages 26 mille per hour over the 2200+ miles they ride in 21 stages over three weeks! Here are a couple of pictures, with the high mountains in the background. 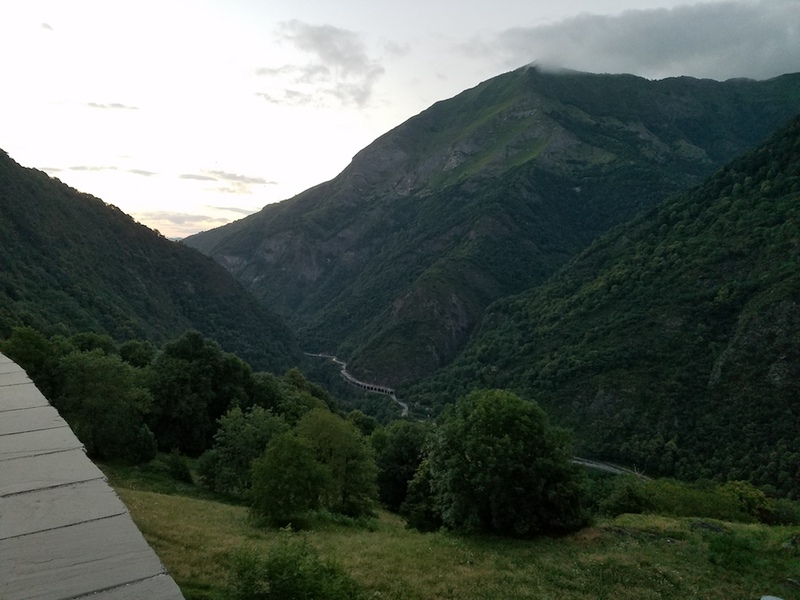 And here's the valley road they continued down right after passing us, as seen one evening from the church in our little village (right next to our gite). After watching the Tour roll by we rode up to the town at the official start of the Col du Tourmalet from the west, Luz Saint-Sauveur, where we watched the Tour finish in a bar on the main circle. Froome with his head down constantly - wtf up with him with that? No style points for him ever lol Great pics JM!